Group FaceTime will be re-enabled only next week. Apple sure has landed itself in hot water over the eavesdropping bug on FaceTime, for which a fix is expected only next week. In a statement to 9to5Mac, Apple said that it had fixed the Group FaceTime bug on its servers but would release the update to re-enable the feature only next week. The trouble all started for the Cupertino-based technology giant when a family in Tucson, Arizona discovered a bug that allowed FaceTime callers to eavesdrop on their recipients when there was no response. "We have fixed the Group FaceTime security bug on Apple’s servers and we will issue a software update to re-enable the feature for users next week. We thank the Thompson family for reporting the bug. We sincerely apologize to our customers who were affected and all who were concerned about this security issue. We appreciate everyone’s patience as we complete this process," Apple responded to 9to5Mac in a statement about the bug yesterday. Michele Thompson of the Thompson family is presently suing Apple for allowing a caller to listen in on her private conversation with a client. You can read more about the lawsuit here. Hoping to appease and reassure its customers, Apple added in its statement to 9to5Mac, "We want to assure our customers that as soon as our engineering team became aware of the details necessary to reproduce the bug, they quickly disabled Group FaceTime and began work on the fix. We are committed to improving the process by which we receive and escalate these reports, in order to get them to the right people as fast as possible. We take the security of our products extremely seriously and we are committed to continuing to earn the trust Apple customers place in us." Though Apple has promised to roll out a patch for Group FaceTime bug next week, users online feel it's already case of too little, too late. We won't be the least bit surprised if FaceTime users feel more hesitant to use the feature after getting word of Apple's recent fiasco. 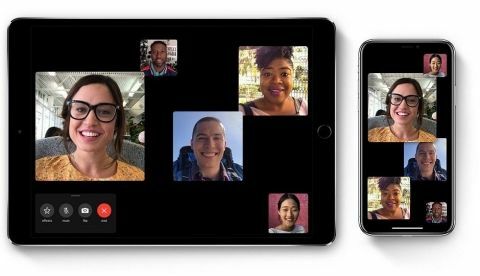 Apple introduced Group FaceTime in October 2018 as a feature baked into iOS 12.1 for iPhones and iPads. Using the feature, up to 32 users can join the same video call at any given time. iOS 12.1 also introduced ringless notification and seventy new emojis. HealthKit app has which bug?